Home to the magical Piton Mountains, lush landscapes, unspoilt rainforests and palm-fringed beaches, Saint Lucia is the beautiful Caribbean island that has it all and more. From a birding point of view, Saint Lucia is very accessible being just 27 miles long and 14 miles wide and is probably one of the most important of the Lesser Antilles as it holds six single island endemics. 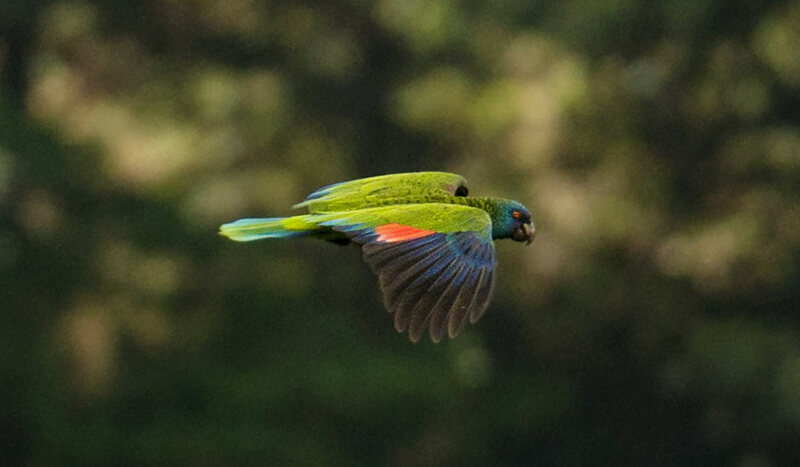 Saint Lucia has six endemic species, one of which is the islands national bird, the Saint Lucia Parrot (Amazona Veriscolor), a species that recovered from dangerously low population numbers in the early 1980s. The other endemics are the Saint Lucia Pewee, Saint Lucia Warbler, Saint Lucia Oriole, Saint Lucia Black Finch and Semper’s Warbler. This gives Saint Lucia the distinction of having the highest number of endemic birds in the Eastern Caribbean region. 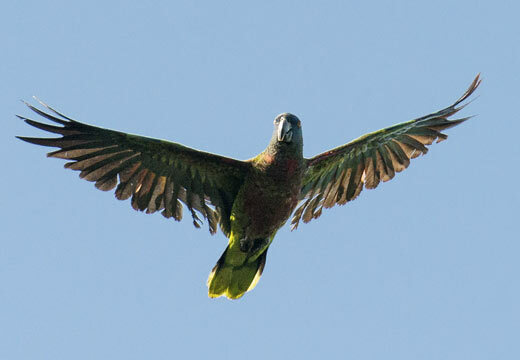 The Saint Lucia Parrot is about 42-46 cm (16.5-18 inches) in length. It inhabits the rainforest in the mountains of Saint Lucia. It feeds in the forest canopy on a wide variety of fruits, seeds and flowers. The parrot nests in the cavities of tall trees. The Black Finch is about 13-14 cm in length. It is found in both moist and dry forest areas. It forages in the leaf litter in dense understory. The finch usually nests in a spherical nest of twigs built in a low shrub or palm about 2m above ground. The adult pewee grows to about 15 cm in length. It is quite common and resides mostly in moist forest, but is also found in dry forest areas. It perches low and sallies for insects. The pewee nests in a cup-shaped nest made of leaves and moss placed on a branch. 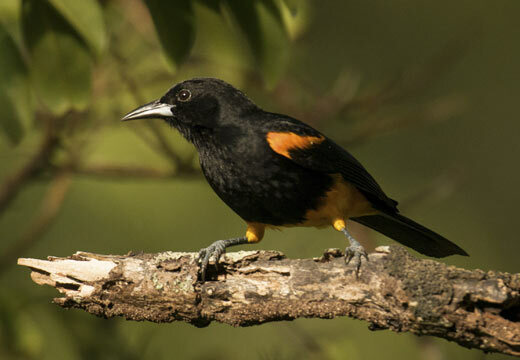 The adult oriole grows to about 22 cm in length. It is found in woodlands including dry and moist forest. It is uncommon and perhaps becoming scarcer. It feeds on insects, fruits, flowers and nectar. The oriole builds a nest sewn under a leaf or palm well above the ground. The Warbler is about 12.5 cm in length. It is found in all forest types and at all altitudes. It forages for insects and spiders from leaves and twigs. It lays in a nicely woven, cup-shaped nest built in a tree about 1-5m above the ground. 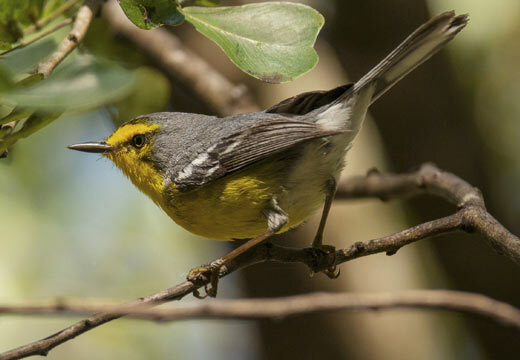 The Semper’s Warbler is extremely rare or possibly extinct. The bird is about 14.5 cm in length. The plumage of the adults is dark grey at the upperparts and greyish white at the underparts. The last reliable sighting was in 1961. There have been unconfirmed sightings in 1965, 1972, 1989, 1995 and 2003. The Saint Lucian species of the House Wren is considered by some as an endemic species (although this is not as yet widely accepted). Another Lesser Antillean endemic bird in Saint Lucia is the endangered White-Breasted Thrasher.